If you like colored, freshly groomed nails, most likely you've been exposed to acetone somewhere along the way. This colorless chemical is often used in nail polish remover, and though it's not extremely dangerous, it isn't the best for your nails, your skin, or your health, particularly if you use it a lot. Acetone is a chemical—also known as “dimethylketone,” and “2-propanone”—that works well as a “solvent,” which means it can dissolve other materials, such as nail polish. It's easily mixable with water, and it doesn't cost a lot, so manufacturers like using it in nail polish removers. Emits toxic fumes—if you are sensitive to fumes, or if you happen to use this in a place that doesn't have the best ventilation, you can suffer from dizziness, headaches, or nausea. Long-term exposure can cause nose and throat irritation, tiredness, eye and lung irritation, and other side effects. Toxic internally—if you mistakenly get this inside you, it can cause headaches, confusion, increased pulse rates, nausea, vomiting, and at high levels, even coma. Not something you really want to have around if you have little children. Irritating and drying—acetone has shown to be irritating to skin, especially in sensitive individuals. Long-term use may cause dermatitis, drying, irritation, redness, and cracking in skin around nails, and is known to dry out the nails themselves. Powerful solvent—it will even melt most plastics, so you have to be cautious when you're using it. It's extremely flammable—that's why you may see warnings on your nail polish remover, to be sure to keep it away from open flames, or even your hair dryer. There's no doubt that acetone zaps away nail polish, but how often do you need such a serious solvent just to look well groomed? I recommend you safeguard your health and the health of your family by choosing alternative polish removers. Plus remember—age shows up on your hands, too, and pretty nails won't disguise dry, irritated skin on your hands. Long-term use of acetone is also likely to age your nails over time. Much better to choose a nourishing option, or at least one that causes less harm. Here are some ideas—let me know if you have more! Any nail polish remover that says “non-acetone” on the label, though be aware these may have other harsh ingredients. Suncoat Natural nail polish remover is an earth friendly, plant-based product made with soya oil and vegetable glycerin. Fresh Therapies Natural Nail Polish Remover is a translucent polish remover with a hint of lime for a fresh scent! Acquarella carries a line of nail polishes that are vegan and free of numerous toxic chemicals. They also produce a corresponding nail polish remover that's acetone free, but bear in mind, only work specifically with their nail polish line. Have you found an alternative to acetone polish removers? Please share your tips. Photo courtesy Ashlynn's Dreaming via Flickr.com. I just removed my nail polish with my Young Living Purification essential oil and a cotton ball! love it! I love the smell and the moisturizing effect and the safety. 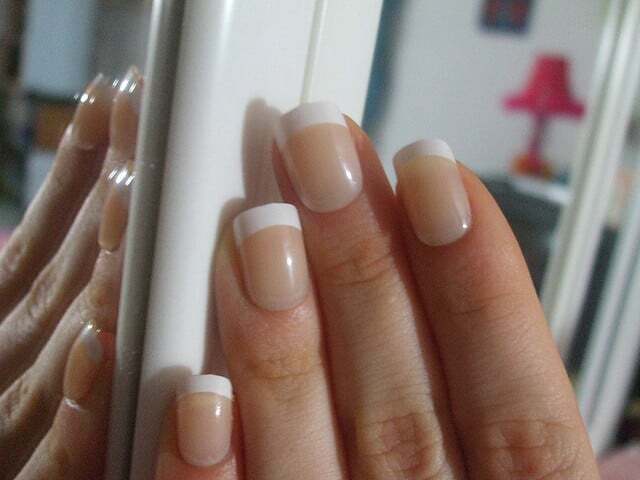 You do have to keep the cotton ball on the nail of a couple seconds, but I use the same cotton ball for all my nails and it has worked perfectly on me and my daughter. You can order some through me if you are interested! I am a cosmetologist of 20 years. I recently started doing gel nails requiring acetone nail polish remover. I have been cracking on the tips of my fingers under my nails. I am assuming it is a reaction. If anyone has an alternative acetone nail polish remover idea, please let me know ASAP. Thank you.